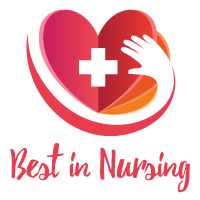 Jessie Anderson, RN, MSN, CNP, is being recognized as “Best Nurse” by the American Health Council for her extraordinary clinical talent and fierce dedication to the nursing profession. With 14 years of industry experience, she has expertise in Women’s Health, Preventive Medicine, routine Gynecology, routine Prenatal Care, and even harbors a special interest in cancer genetics. Among her many accomplishments, Anderson is most proud of the four years she served in the United States Air Force after obtaining her BSN. American Health Council is proud to recognize Jessie Anderson MSN and support her in her future endeavors. Anderson’s passion for clinical care started at a young age. She worked in a physician’s office when young and realized her passion for making a difference in the lives of others. With dedication and a knack for clinical care, Anderson earned a BSN and subsequently began four years of military service in the U.S. Air Force. This military training set her foundation for leadership skills, discipline, and professional accountability. Deciding to build this foundation with academic instruction, Anderson went on to graduate with a Master of Science in Nursing (MSN) from the University of Missouri, St. Louis in 2011. As she pursued this graduate degree Anderson focused her studies in Women’s Health. Anderson recognized the necessity of preventive care in effective disease treatment as she gained first-hand clinical experience. To her, prevention is a top priority. 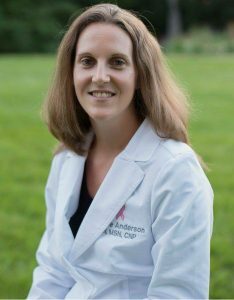 Anderson presently operates as a Nurse Practitioner at Eastwind Women’s Health Inc. where she has been employing her considerable clinical talents for over three years. Anderson has enjoyed well-deserved success in her career thus far. For this she credits her stringent military background and the variety of experiences in the nursing field that strengthen her clinical proficiency. Her professional perspectives have been recognized by her contemporaries and esteemed healthcare institutions. As a student, Anderson was inducted into Sigma Theta Tau, the international Honor Society of Nursing. Additionally, Anderson actively maintains professional associations with her peers via The American Congress of Obstetricians and Gynecologists (ACOG), Nurse Practitioners in Women’s Health (NPWH), the Association of Reproductive Health Professionals, Sigma Theta Tau (STTI), and the North American Menopause Society. Anderson has illustrated a professional character of integrity amid a successful career poised for future advancement. In her bright professional future, Anderson plans to become a certified Menopause Practitioner for which she will test this fall. Additionally, she aspires to gain further scholastic expertise with a Doctorate of Nursing Practice. She enjoys outdoor activities with her two kids, as well as baking and crocheting. American Health Council looks forward to adding Jessie Anderson, MSN to its extensive healthcare network. Nurse Practitioner at Eastwind Women’s Health Inc. Expertise in Women’s Health, Preventive Medicine, routine Gynecology, routine Prenatal Care, & cancer genetics. Four years of military service in the U.S. Air Force. This military training set her foundation for leadership skills, discipline, and professional accountability. Eastwind Women’s Health Inc. is a community based practice since 1977.